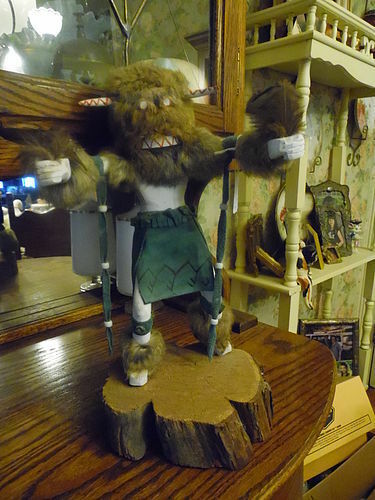 Great vintage Navajo Indian kachina doll measures about 15" tall. carved wood with real fur, feathers, and suede clothing. Signed on the bottom BUFFALO with a number, and a name Angel (which could have meant Angelo, Angela, Ect) because the signature was signed over a knot in the wood. one small split in one of the horns. Shows nicely.